Summary: This is an useful article that will tells the 3 simple and effective way for you to transfer all data including contacts, text messages, photos, videos, call logs, and more from any Sony smartphone and tablet to computer. Although Sony Mobile's mobile phone products in recent years have appeared to deviate from the mainstream mass market, Sony and its Xperia brand mobile phones still have a solid strength foundation. For example, in 2013, Sony released the Xperia Z mobile phone, which has IP57 waterproof performance and can be kept at a depth of 1 meter for 30 minutes. In 2015, Sony released the Xperia Z5 Premium, the world's first 4K smartphone. Sony released the Xperia XZ Premium phone at MWC2017, equipped with the Qualcomm Snapdragon 835 processor, continuing the previous 4K resolution display of the Sony Z5P. The phone is equipped with a 19-megapixel 1/2.3-inch CMOS camera that supports Motion EYE dynamic vision photography and 960fps ultra-slow video capture. Therefore, Sony mobile phones still have a huge user base on a global scale. However, in the daily use process, Sony mobile phone users still encounter some difficult problems. 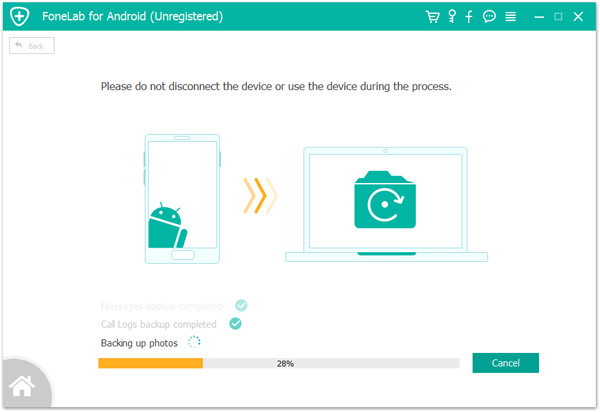 How to transfer the data from a Sony phone to the computer? This is a very common problem. Some of the data, we used to transfer it to the computer. This approach not only can store data, you can also avoid the loss of data, to provide a double guarantee for your data. However, there are many types of phone data, and some types of data we do not need to transfer to the computer. Well, can we selectively transfer? 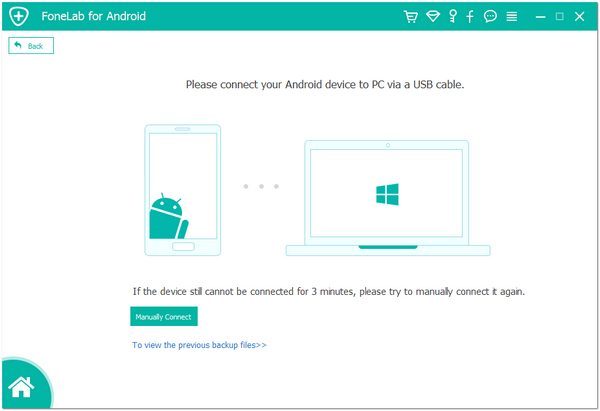 The easiest way is to connect your Sony Phone to the computer and transfer it one after another,but this method is a waste of time, is there an intelligent way? 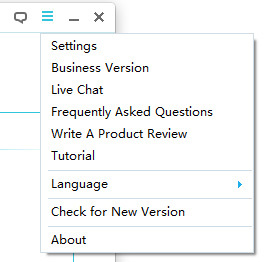 In the first, you need to install Mobile Trans on your computer. And then run it. Next, the interface of the program is shown below. Then click "Back Up Your Phone" in the primary window. Now, you need to connect your Sony Phone to your computer, so you need to prepare a USB data line. The phone successfully connected to the computer, the program interface as shown below. 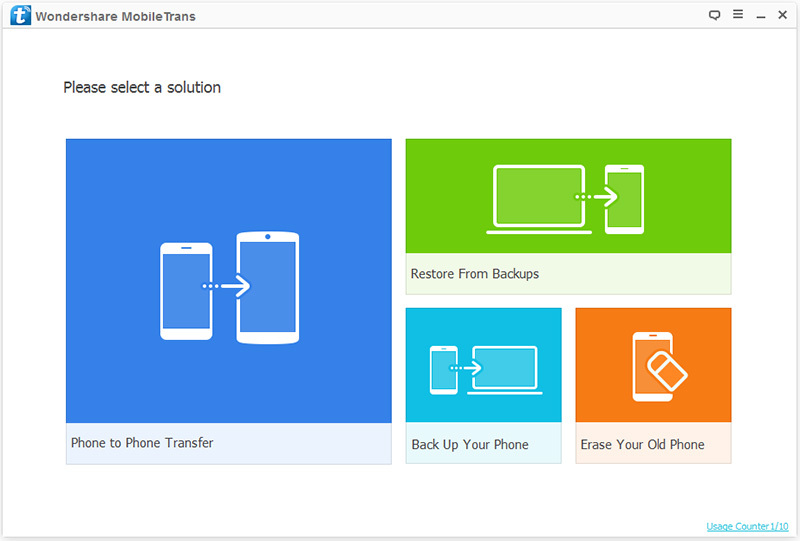 Android Data Backup & Restore is an all-in-one data management tool. 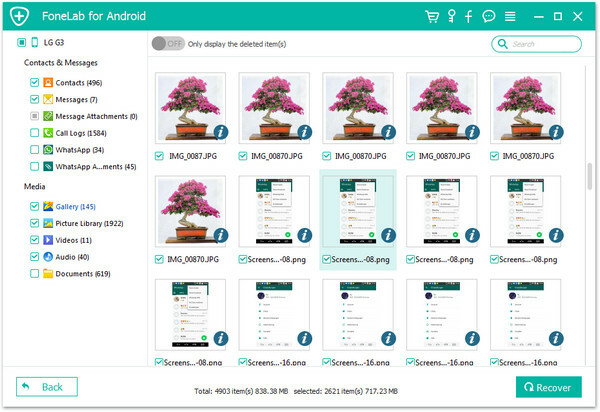 First, this is a specially developed for Android phones software, almost all Android devices, it can be compatible. For now, it can be compatible with more than 8000 Android devices. 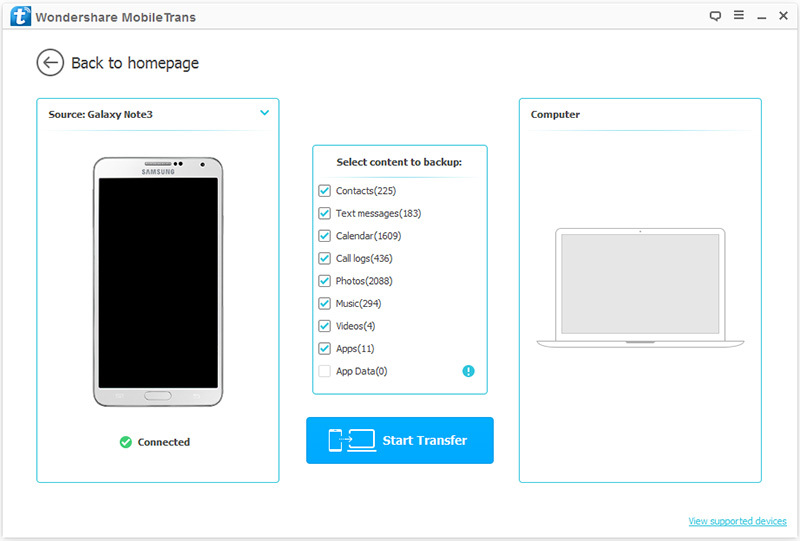 Secondly, you can selectively backup or transfer phone data to the computer, this process is simple and convenient, just a few steps. More importantly, you can also preview phone data, which can improve accuracy. Of course, you can also use it to recover data from the backup file. Step 1. Run the software and select "Android Data Backup & Restore" in the function list. At the same time, please connect your Sony mobile phone to the computer with USB data calbe. Step 2. 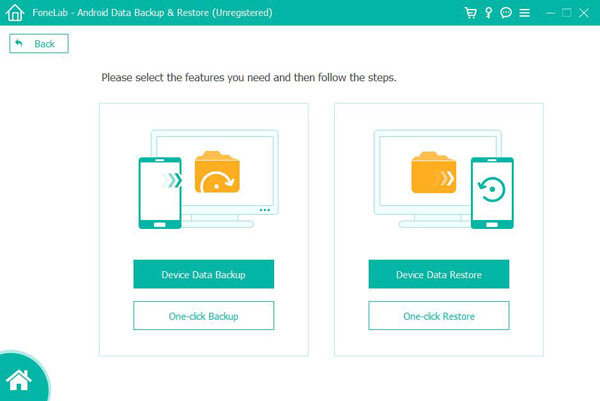 When your Sony phone is recognized, you are allowed to choose "Device Data Backup" or "One-click Backup" option to back up your files. Step 3. Please choose one of them according to your need, ensure that your phone is ready for backup, then click "Start" button to begin exporting your phone data to computer. 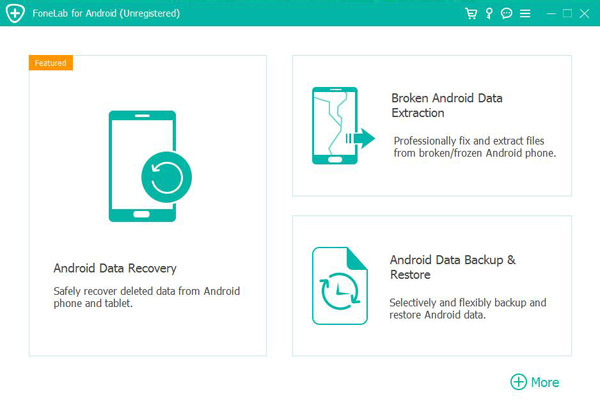 Android Data Recovery is an outstanding and easy-to-use data recovery program which can analyze and scan your Android phone's memory in depth to find out all the existing and lost files including contacts, photos, videos, SMS, call logs, WhatsApp, audio and so on. What's more, this software is almost compatible with all Android devices on the market, in addition to Sony, also apply to Samsung, Huawei, HTC, LG, Google, Nokia, OPPO, vivo, ZTE, Xiaomi, OnePlus, Moto, and so on. So, you can easily to sync your data from Sony to computer via this powerful tool. Step 1. 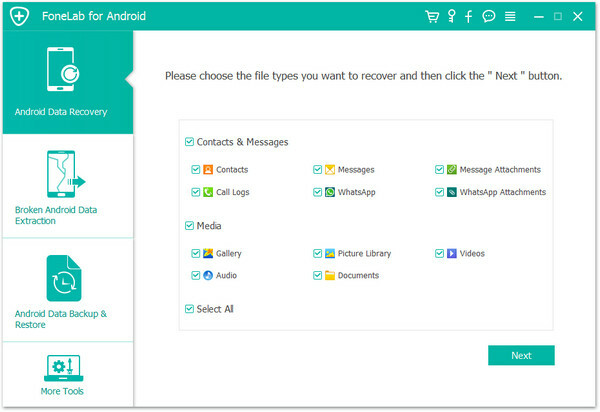 Run the program and choose "Android Data Recovery" among all the toolkits on the primary interface. Step 2. Please use a USB cable to connect your Sony phone to your computer. If you phone can not detected by the program, pleaes check whether you've enable the USB debugging on your phone's screen. Step 3. Once your phone is recognized, select the file types that listing by the program as you like, and press "Next" to go on. Step 4. When the scanning is finished, you are allow to preview all the scanning result one by one. Step 5. Choose the data you need and press "Recover" to save them to your computer.